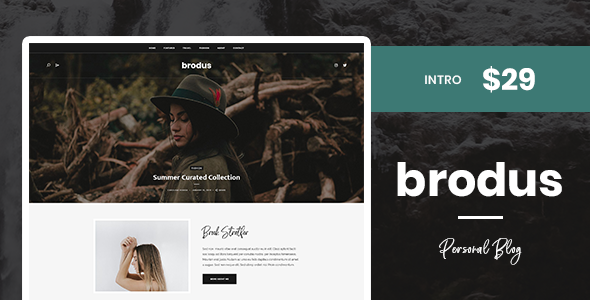 Brodus is a clean, modern and elegant WordPress theme suitable for all types of blogs, personal, lifestyle, fashion, travel, beauty, photography, food etc. Carefully crafted with lot of different layouts, styles and options. Includes all features that you need to start in minutes and make your readers always return for more. Thanks for checking out Brodus! Feel free to contact us with any questions or comments you may have. If you like Brodus, please rate it. Ability to import demo content manually. Ability to use shortcode in Text Widget.